Four projects driven by the Technical University of Munich (TUM) are set to receive highly endowed Advanced Grants from the European Research Council (ERC). The research topics range from verification methods for the computers of the future and new insights into the development of the heart to the properties of quantum matter and an as yet unproven form of decay that atomic nuclei undergo. The ERC awards its annual grants in different categories. The Advanced Grants are reserved for established scientists with an excellent track record of outstanding achievements over the past ten years. The value of each grant can be as high as 2.5 million euro. In addition to the four Advanced Grants, two TUM projects have been singled out for Proof of Concept grants. This form of funding is awarded to scientists interested in turning their ERC research projects into marketable innovations. As an entrepreneurial university, TUM places a strong emphasis on this facet of research and provides targeted, concrete support for researchers’ and students’ start-up projects. During the application call, which concludes with the allocation of the Advanced Grants, TUM scientists had already won five Consolidator Grants and six Starting Grants from the ERC. The latest successes have brought the number of ERC grants awarded to TUM researchers to 90. Many of the computer systems of the future will work along the lines of an ant colony: a large number of small, identical and comparatively simple elements cooperating to complete a task. Ensuring that these systems function correctly presents a huge challenge. Modern testing algorithms tend to hit their limits as soon as the number of participating elements exceeds a certain threshold. Prof. Javier Esparza is attempting to solve this problem with his “Parameterized Verification and Synthesis” (PaVEs) project. He and his team are using new methods to develop algorithms capable of handling any number of participating components. Javier Esparza holds the Chair for Foundations of Software Reliability and Theoretical Computer Science. The heart is the first organ that develops in the body. However, we still have a lot to learn about the cellular and molecular mechanisms of this process in humans. Prof. Alessandra Moretti wants to gain a better understanding of this process in her “Deep BIOmodeling of human CARDIOgenesis” (BIOCARD) project. By using pluripotent stem cells, she hopes to create an “atlas” mapping the development of the human heart muscle. Her research will investigate the nature and origin of the intermediate stages of cell development from cardiac progenitor cells to the fully developed heart, as well as the molecular processes involved. Prof. Moretti will use her findings to culture human cardiac organoids. In the future, researchers should be able to use these “miniature hearts”, which up to now have been too difficult to create in a lab, to learn more about heart diseases, test new drugs and develop cell replacement therapies. Alessandra Moretti is Professor of Regenerative Medicine in Cardiovascular Disease. She has received the Innovation Prize awarded by the German Medical Faculties along with various other rewards in recognition of her research. Quantum effects radically change the properties of matter under extreme conditions such as at temperatures near absolute zero, in the presence of strong magnetic fields and under high pressures. The research community is currently working intensively to explore how these changes can be predicted and leveraged but it has run into some unexpected problems. The results of many experiments are calling fundamental concepts of solid-state physics into question. As part of his “Extreme Quantum Matter in Solids” (ExQuiSid) project, Prof. Christian Pfleiderer plans to use experiments to study the properties of such quantum matter and try to explain why deviations from the current theoretical understanding are occurring. 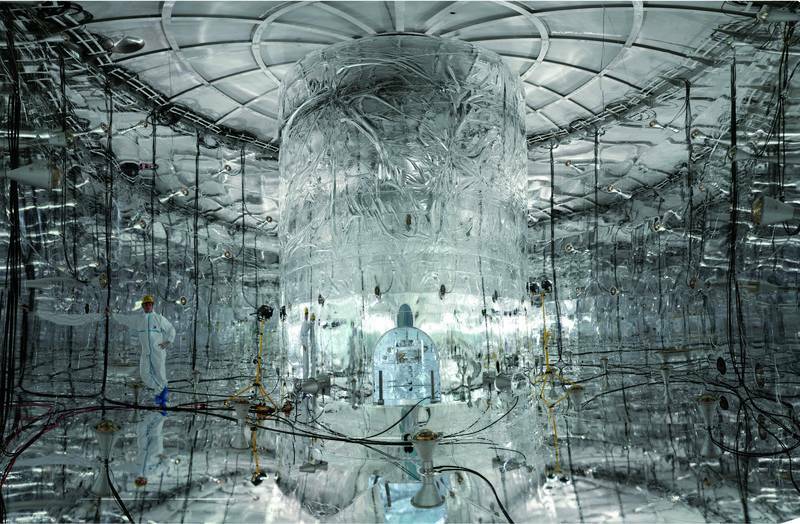 Pfleiderer and his team have implemented a series of new investigative methods including special laboratory measurements and a new type of neutron spectroscopy enabling ultra-high resolution images even in the presence of strong magnetic fields. Christian Pfleiderer holds the Chair of Topology of Correlated Systems. His work on topological matter was supported by an ERC Advanced Grant in 2012. One of the biggest unsolved puzzles in physics is the excess of matter over antimatter in our universe. One possible explanation would be the existence of particles that are identical to their antiparticles. Neutrinos are the only elementary particles we know of which could possess this property. The only way for scientists to verify this theory based on current knowledge is to provide evidence of neutrinoless double beta decay, a very rare form of decay that certain atomic nuclei undergo. Building on earlier experiments, Prof. Stefan Schönert plans to use his ERC-funded project “GemX” to lay the groundwork for the new large-scale LEGEND experiment which aims to substantiate this decay. To do this, Schönert and his team will develop high-purity detectors enriched in the germanium isotope Ge-76. The long-term aim is to operate up to one ton of these novel detectors in an underground laboratory shielded from cosmic radiation and natural radioactivity. Stefan Schönert is Professor of Experimental Astroparticle Physics at TUM, co-spokesperson of the Collaborative Research Center SFB1258 and spokesperson for LEGEND. He is also a research area coordinator in the Excellence Cluster Universe. Every chemical reaction takes place at a specific speed. Knowing the rate at which molecules bind to each other or break bonds is important in areas like the development of pharmaceuticals. Prof. Hendrik Dietz wants to develop a comparatively economical and uncomplicated process to measure the kinetic properties of molecular reactions while still achieving reliable results. He has received a Proof of Concept grant for his “Nanodevice” project. His specialty is DNA origami, which involves creating nanoscale “devices” from DNA molecules. The newly developed molecule should reveal information about the kinetic properties of the target molecule under fluorescence microscopy. Hendrik Dietz is Professor of Experimental Biophysics and a recipient of the Leibniz Prize from the German Research Foundation. He has already received a Starting Grant and a Consolidator Grant from the ERC for his work on DNA origami. The skin diseases psoriasis and eczema can be difficult to diagnose as sufferers present very similar symptoms. Over the past few years, Prof. Kilian Eyerich and his team have identified two biomarker proteins that pave the way for reliable diagnosis, which should mean that patients will be able to receive the most effective treatment. The scientists plan to build on the “peLabDisk” project with its Proof of Concept grant funding to develop a portable, speedy, automated and easy-to-use diagnostics system. The “lab-on-a-chip” will be designed as a standard point-of-care diagnostic tool. The required components will be applied to a plastic disk with recesses. Microfluidics technology will then be used to automatically mix them in the correct quantities, process them and analyze the results. Kilian Eyerich holds the Heisenberg-Professorship of Experimental Dermato-Immunology at TUM. He was previously awarded an ERC Starting Grant in 2015.